Today we started a unit called ” Things in the Sky.” We use the Adventures in Learning curriculum and there are a few units that over the years I have just ” skipped.” There isnt enough time in the year to cover all of them so I would choose my favorites. I knew this was going to be a fun unit when I started putting the playlist together for the kids. After ” What does the Fox Say?” and ” Let it Go” I have started picking my playlist VERY carefully because if they like it they will play it so often that it will haunt me in my sleep. The songs I picked out were all about things we find in the sky. And Rocketship Run which Randy and I used to sing together. Then there are some old classics . Twinkle Twinkle Little Star, how I wonder what you are…. Smack in the middle of this song is the spanish version. Ms Gabby is going to come tomorrow to help the kids with their spanish on this song. For small groups today we looked at a book with real pictures of the moon in it. We talked about how the moon has no life on it. There are no plants, not a tree or even a blade of grass . 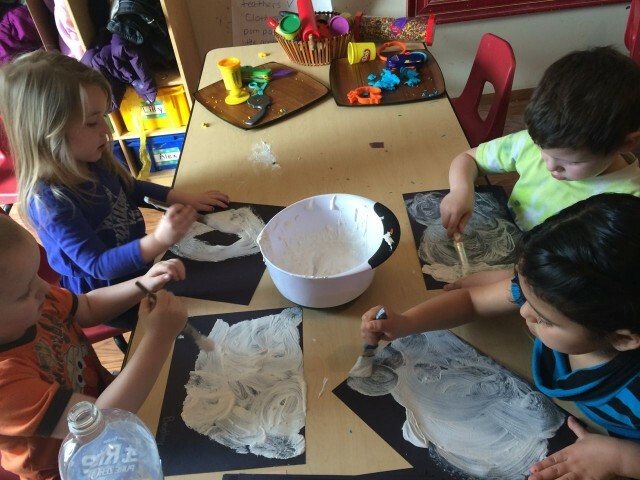 Then we made pictures with white paint, water and flour. 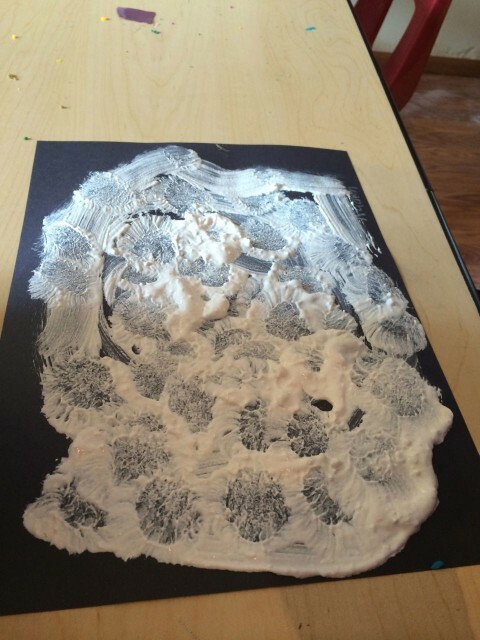 The flour was put in the mixture to add texture so we could make craters on the surface. 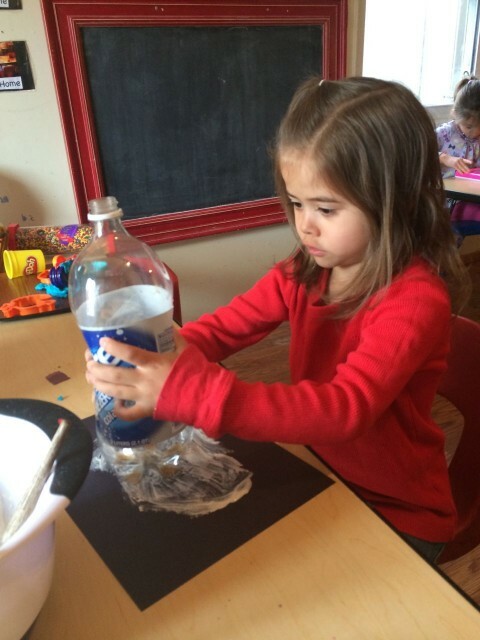 We used the bottom of a coke bottle to make the craters. Every day the children have jobs in our room. We have been trying to point them out more since the children are older now . Today Harelly was the librarian . The librarian’s job is to check all the area we have books and make sure they are straight. She did an excellent job today. 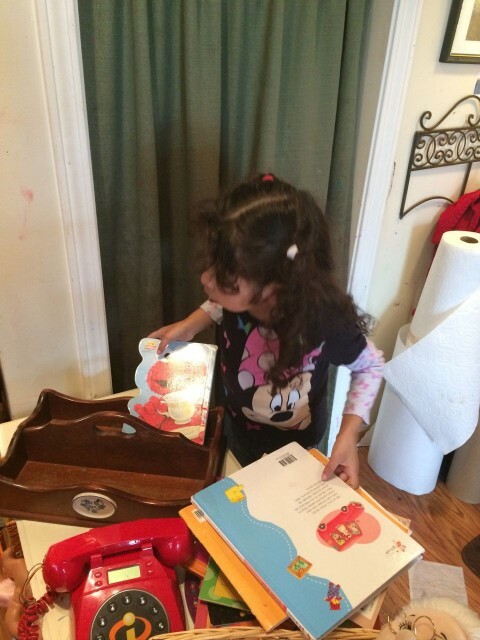 She even explained to the kids that the hard back books need to go in the back. Also, I looked up in the loft and two of our multicultural dolls we on display on top of shadow boxes we have up there. I said ” way to go Dallas ! That really makes our multicultural items stand out , which is wonderful since we are in the window for our FCCRS visit. We know they are there, but this makes them more easily found! ” Her reply “Uh… that wasnt me.” It was Alina . Alina and Harelly was cleaning machines today. 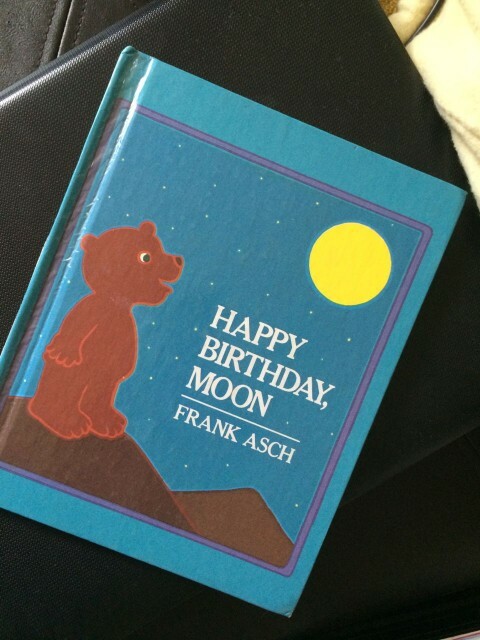 During large group time today we read the book ” Happy Birthday, Moon.” Some of the language we got from the book included words like echo . When your child gets home tonight ” echo” what they say and see if they remember. We also watched a very small clip of the first walk on the moon. It was in 1969. I was three years old. I am a little puzzled as to why I dont remember something so historic. I am sure my parents watched. I wish they were still here so I could ask them where we were when it happened and ask them if I watched it. The kids were totally intrigued with the video of the astronaut walking on the moon. They loved the fact that he put a flag from the United States of America on the moon. 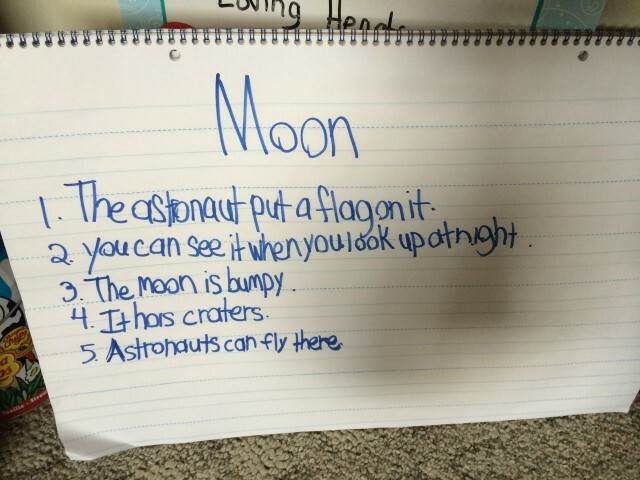 We ended circle time talking about what we know about the moon.